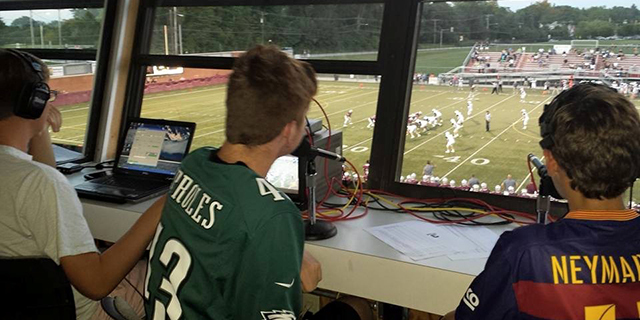 This year the Teamer Field announcers’ booth is home to Conestoga High School’s TJ Fogarty, Collin Speicher and Vik Raghupathi. 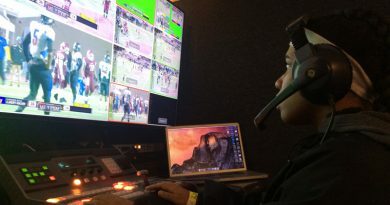 The students announce about 45 live games a year to 50,000 households via the district’s educational access channel. The boys offer several key announcing tips to keep the job interesting. Research first. If the game is something you don’t know much about, be sure you understand it before you turn on the mic and start discussing it. Find out how both competing teams did last game. Know the names of the key players. During the game, keep track of stats either on paper or by using free apps like PossessionFree and Basket Board Free. Be conversational. One voice can be dull, so partner up in the booth. One of you gives play-by-play while the other provides color. Engage each other by asking questions: “What does the defense do now?” or “What do you think the coach told the team during the timeout?” or “What impact do the fans have on the players?” Think about your word choice, too. Instead of “saved,” try stoned, rejected, sent away. Rather than “shot,” use thrown up, from point-blank range, off the foot of, sent in, attempted, dialed long distance, from downtown. If the shot is made: it’s pure, it’s good, past the keeper, converted, capitalized, yes sir, nothing but net/nylon, it’s in the bucket/cage/cup, to the house/crib. And when you’re discussing a player’s moves, how about telling us how he or she shows his skill, tears up the defense, splits the defenders, makes it fancy, spins, jukes, fakes right/left. Keep talking. Even if there isn’t much going on, especially when there isn’t much going on, keep talking. List the stats you’ve researched or noticed during the game, ask questions of your fellow announcer, analyze a previous play. Keep your audience engaged. The more you’re into the game, the more your audience will be. Relay the action to your audience as if every turn of the game is crucial. And have fun. 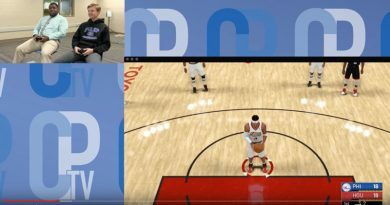 Live Stream Tips – Who to Use?